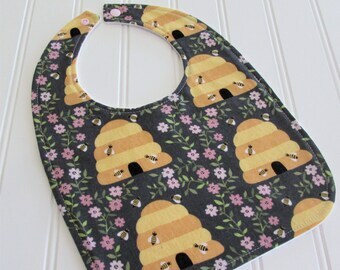 Sweetbug Studio bibs for toddler and baby are made using quality designer fabrics and organic cotton fleece. You will find beautiful and fun designer quilting weight cotton on the front and organic cotton fleece, with a weight of 15.5 oz. 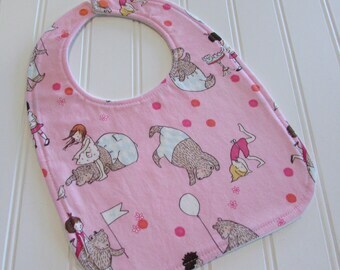 per linear yard, in vanilla on the back of each bib. Snaps are chosen to coordinate with the fabric. 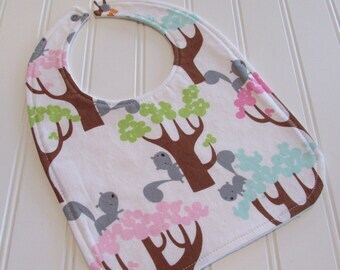 These bibs are wonderful for your own little one or make the perfect shower gift. 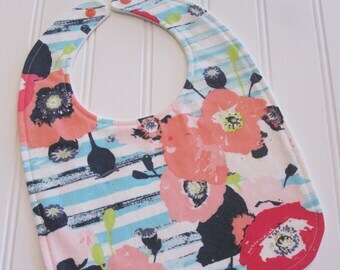 Fabric: This set features three bibs from the line Sommer by Sarah Jane for Micheal Miller Fabrics. 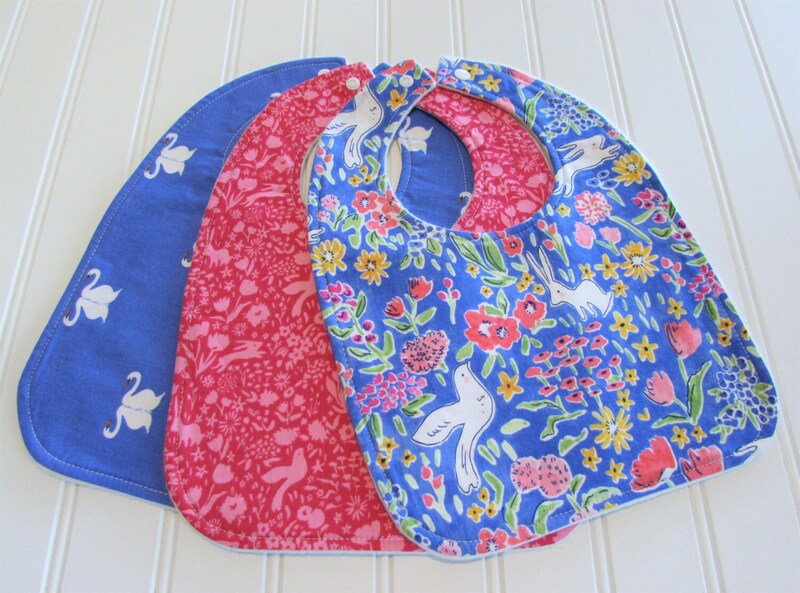 Adorable bunnies, birds, and floral on one bib (Garden in Blueberry), a sweet reflective swan print on another (Sommer Swan in Blueberry), and a raspberry and pink bunny and bird in floral on the third (Garden Shadow in Picnic). Please note the listing for the specific size being sold. 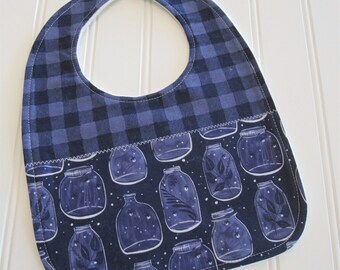 Bib styles are not available in every size. Pattern placement may vary but will always be made with the same care and attention to detail. 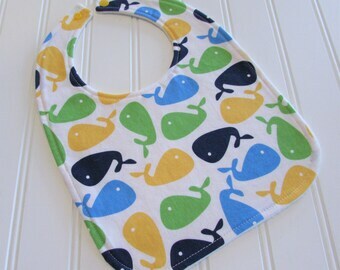 Bibs are packaged in a clear bag, sealed with the Sweetbug logo sticker, and include a care card.